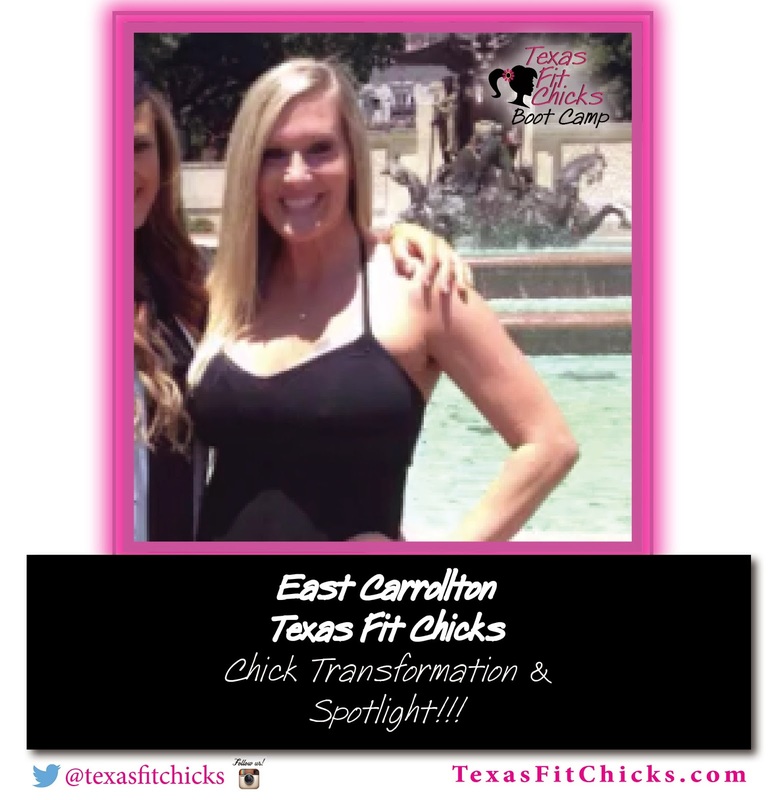 "I started with Texas Fit Chicks almost a year ago and it has been an amazing year! I gained a little over 80 lbs with my son 2 years ago and thought the weight would just fall off like it always had...It didn't. I was so miserable, and always ducked out of photos, I even avoided friends, I was so embarrassed and angry I had let myself get like this. I started an Advocare challenge with my sister last November and saw some results but I needed something more. I then found Texas Fit Chicks on Groupon and decided to check it out. My first day I couldn't even do 1 burpee, my 5 lb weights were soooo heavy and I was sore for days after but I loved it! The results seemed immediate and that gave me the final push to really commit. Now 2 minutes of burpees is doable and now my 12 lb weights are soooo heavy. I have reached my goal weight, down almost 50 lbs, and I get to buy smalls and even some extra smalls! Thank you to all the chicks in my class, you all make it so much easier to get up before dawn, we have so much fun and Wendy, you are such an inspiration! I look at all the girls in class and see such transformations and determination and it pushes me to go harder!"